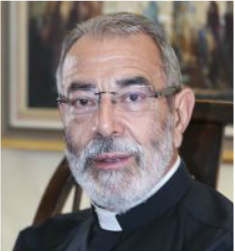 Bishop Robert is the Superior-General of the Society. He served in a variety of roles before being ordained Bishop of Whitby. He is now an assistant priest at St Peter's, London Docks, and an Honorary Assistant Bishop in the Diocese of London. Fr Graeme is the parish priest of Holy Trinity, Kentish Town, has been the parish priest of S. Silas the Martyr, Kentish Town for almost thirty years and the Chaplain-General of the Society of Mary for even longer. As well as being Ward Secretary of the Ipswich Local Ward, Celia is the Secretary of the Society. 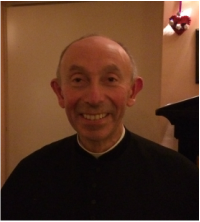 Fr Sam is the Vicar of St Thomas, Kensal Town, as well as Editor of Ave.
Tom looks after the finances of the Society as Treasurer; applications for grants should also be sent to him. Stephen is the Membership Secretary and so membership forms and enquiries should be sent to him by email or c/o S. Silas Presbytery, 11 St Silas Place, London, NW5 3QP. Fr Jonathan is the Rector of St Peter's, London Docks . Fr Luke has been Archdeacon of London since 2016. Before that, he was Archdeacon of Hampstead and, before, that Vicar of S. Mary, Tottenham. Fr Simon was curate at S. Mary, Tottenham before being appointed Vicar there, at the time the youngest incumbent in the Edmonton Episcopal Area.